The changes will extend the tolerance band for headlamp centres up to 850mm and change the requirements to test the ‘image break’ point. 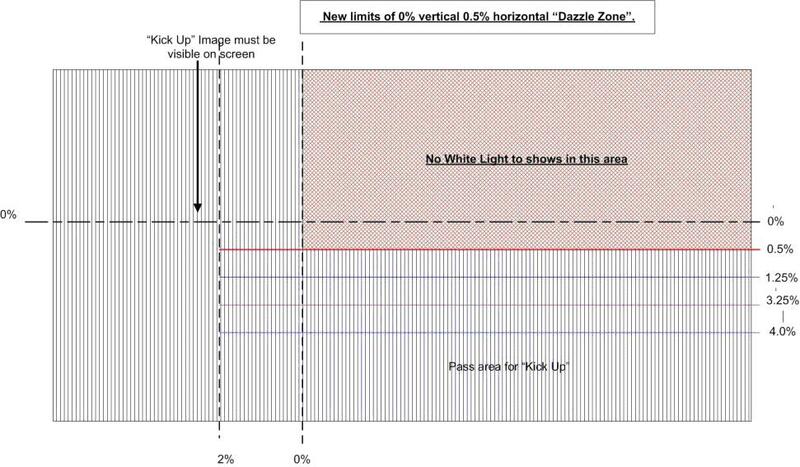 Currently we try to define the ‘image break’ point on the screen to ensure it’s within the 0% and 2% vertical lines. Pinpointing this has become more and more difficult because of the design of modern dipped beam light sources and the placement of the hot spot within the beam pattern. The new standard requires us to look for any white light in the dazzle zone formed by the 0% vertical and the 0.5% horizontal lines. 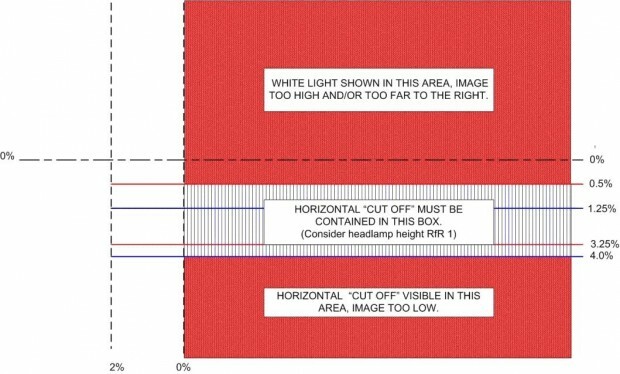 Any white light in the box formed by the 0% vertical and 0.5% horizontal is likely to dazzle oncoming traffic, resulting in a vehicle failing the test. If a beam is required to have a ‘kick up’, this must show on the headlamp aim tester screen. Lots of headlamps have a flat beam pattern or just a small ‘kick up’ and some can be presented with beam deflectors. The method of checking the aim of the horizontal cut off is the same. It’s only the lower limit for headlamps up to 850mm that has changed from 3.25% to 4%. Please send any questions to enquiries@vosa.gov.uk.